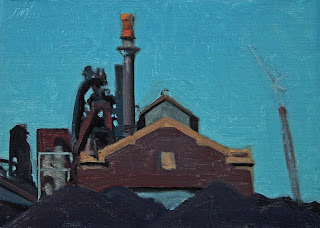 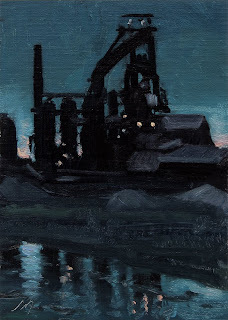 Today's daily painting is a nocturne of blast furnaces at Rouge Steel. 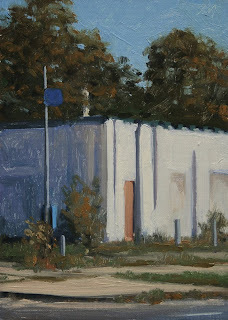 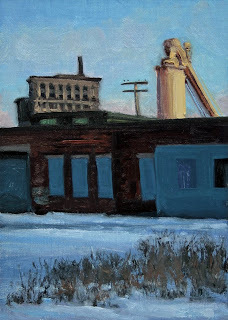 Today's daily painting is a detail of the former Detroit Salt Mine. 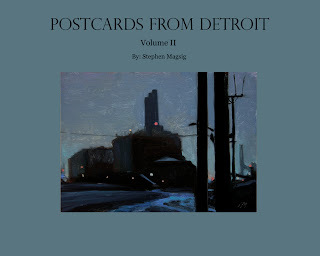 The reference for this painting was taken 25 years ago on one of my first photo shoots of Detroit with the great Detroit artist Mark Arminski who had a studio in the same building in the 80's. 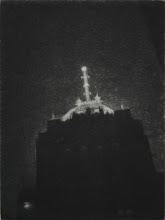 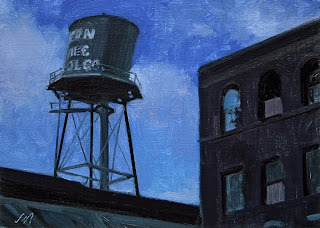 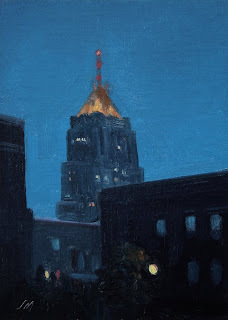 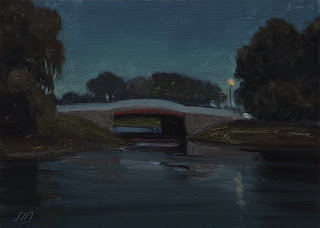 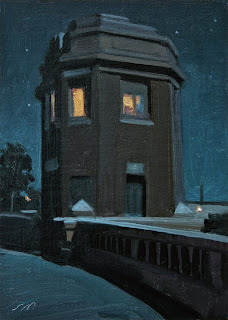 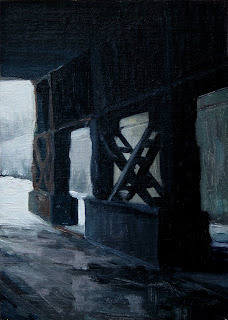 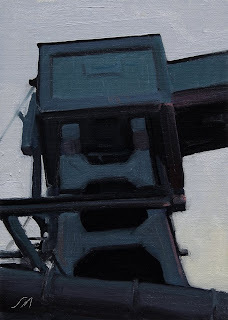 Today's daily painting is a nocturne of the control tower on the Dix Avenue drawbridge on the Rouge River. 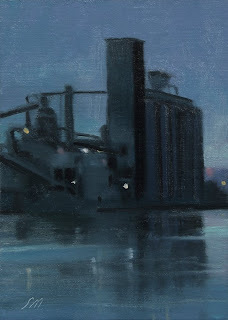 Today's daily painting is of a landscape of the River Rouge Plant in Detroit in the late evening. 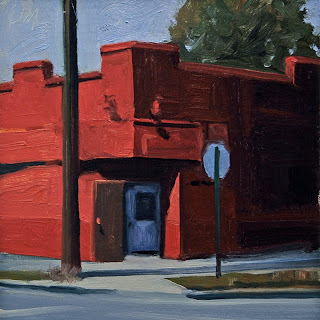 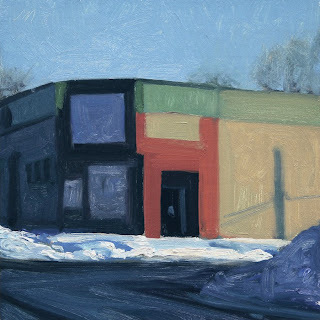 Today's daily painting is of Bright red corner building in Detroit. 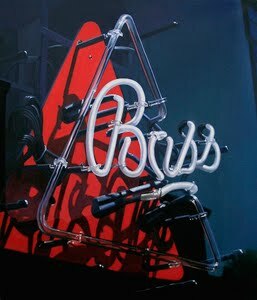 I thought the paintings were getting a little dark, so here is a bright red one to brighten your day. 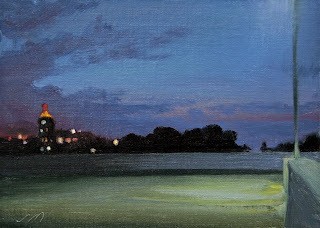 Today's daily painting is of an evening landscape with the Mi Central train station in the background. 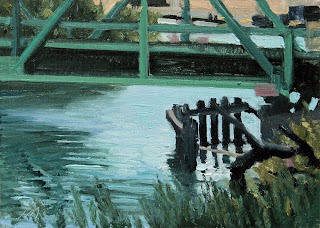 I have been posting a few less times a week and this will continue until April, as I am working on the solo show at George Billis Gallery, and I am way behind in the larger gallery works. 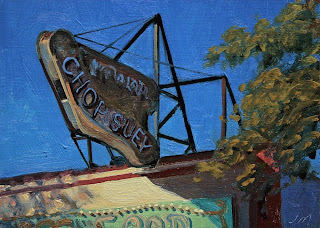 Today's daily painting is of a Chop Suey sign on a Cantonese Food restaurant in Detroit. 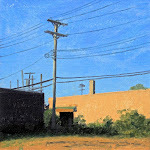 I was really taken with all the bright primary colors and values on this one. 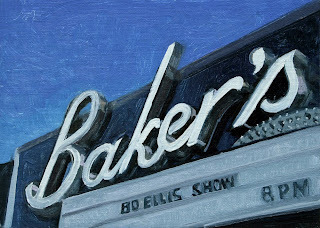 Today's daily painting is the sign from Baker's Keyboard Lounge, the World's oldest Jazz Club. 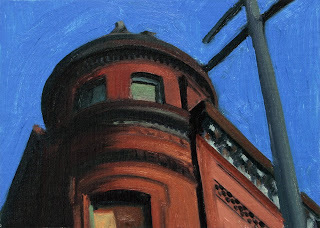 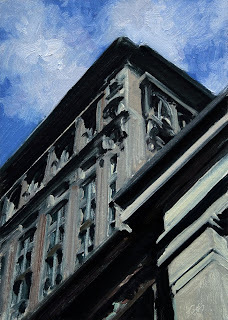 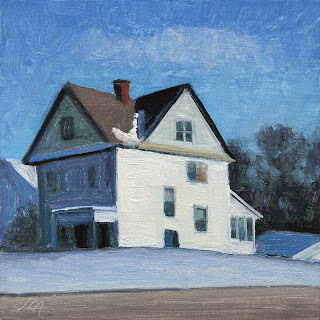 Today's daily painting is of an interesting sunlit cupola on a corner building on Michigan Ave. We have been enjoying the sunny weather. 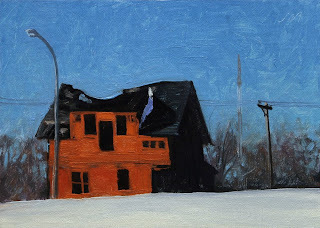 We still have a couple of feet of snow on the ground.